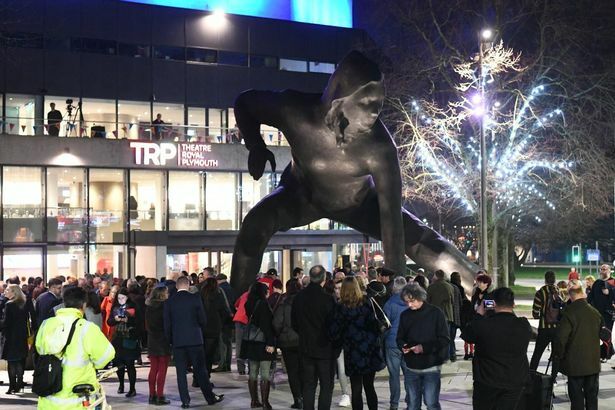 This is Messenger, a giant bronze sculpture depicting a female actor and the largest bronze sculpture created in the UK using the ancient process of lost-wax casting. 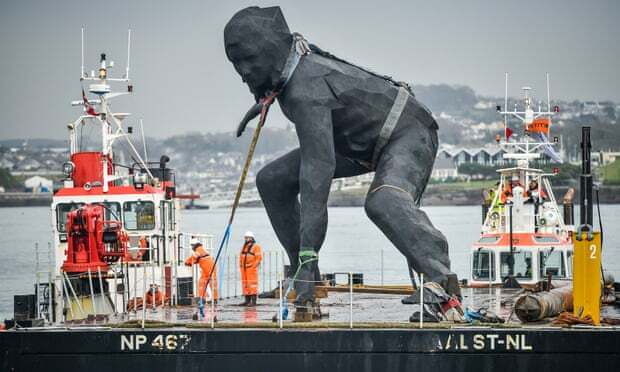 Even before it had been craned into place outside the Theatre Royal Plymouth it was attracting a mixture of praise, anger and ribaldry. Perhaps this is because it is the largest statue of a woman in the country and constitutes a challenge to preconceptions about women by not sticking to the usual approach to the female figure which tends to be far more restrained, more "ladylike"?